Let's Face It... It's HOT here on the West Coast of Florida! 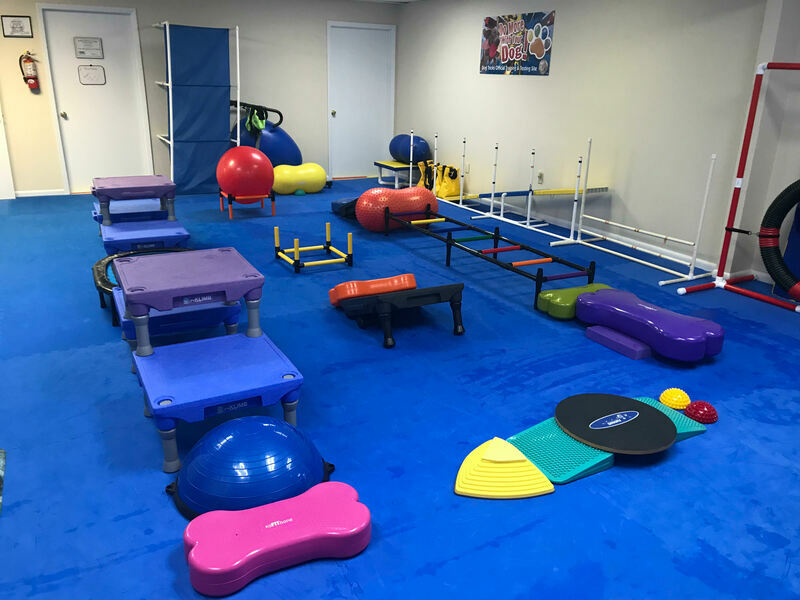 Trick Dog "U" K9 Training Academy offers a K9 Fitness center for our four legged friends and their humans too. We offer indoor climate controlled dog walking for you & your dog(s), here you can walk your dog without worries that the ground is too hot for their paws, that's right you don't have to get up before sunrise or walk your dog late at night to avoid stimuli that sends him/her over threshold. If your dog needs to loose some weight we carry a doggie backpack in their size that can be gently weighted to help them burn extra calories. We offer free WiFi for your entertainment while your pup gets in a workout. 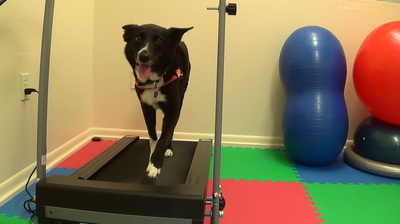 Trick Dog U's very own Dali doing her best not to break a sweat on the treadmill! Our Canine Conditioning course will improve your dog's core strength, balance, flexibility and endurance. We offer a Puppy, Beginner, Intermediate & Advanced Program. Next Canine Conditioning Course begins January 29th, 2019 at 3:00pm. Reserve your spot by clicking the buy now button below! 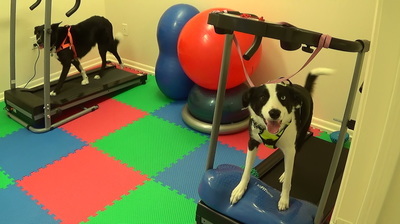 Doga classes allow you to work out with your best friend. We offer a fun exercise program that will help you both lose a few pounds and have fun doing it. Schedule an appointment online or call us at 727-857-6028. 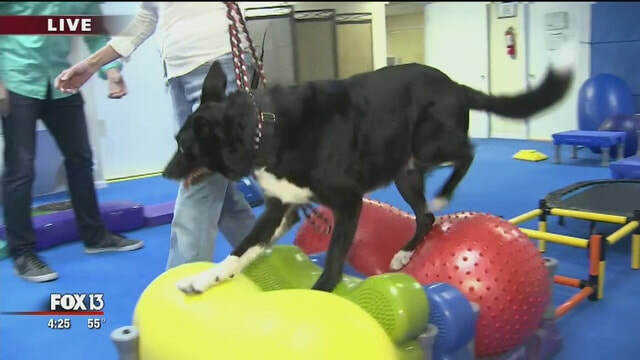 ​Please contact us to be placed on our waiting list for our next K9 Fit Club & Doga Class! Got a chunky cat? We can help them too! Trick Dog "U" K9 Training Academy services Pasco, Hernando & North Pinellas Counties. We offer in-home private dog training and dog & cat behavior modification to Aripeka, Bayport, Bayonet Point, Elfers, Holiday, Homosassa Springs, Hudson, New Port Richey, Port Richey, Spring Hill & Tarpon Springs. Trick Dog"U" K9 Training Academy is Certified & Insured.